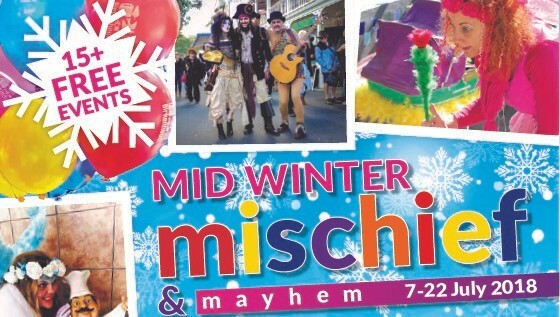 The Winter Wind has arrived and blown in with it magical pirates, fairies, magicians and musicians just in time for the July School holidays. Capt Festus McBoyle and his travelling band of magical friends can be found strolling village streets. Day or Night, with over 15 mischievous and magical events you're sure to find some fun... Don't miss the pirate treasure hunt with treasure maps available from the library and participating village stores. More more details of each event, head to the website.